Everything for Home Theater. Do it yourself, or our Professional Team will be happy to visit your home! 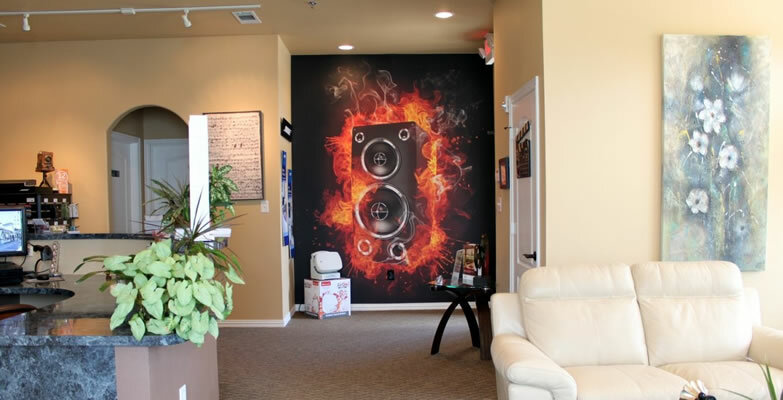 Our Comfortable Showroom is a great place to explore all the possibilities - Your Home Theater. Experience your dream in our Home Theater Demo Room. Imagine the possibilities! What lights your fire? Tell us your dream, and we will help bring it to life. 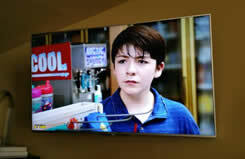 We have TV Mounts, Cables and many other items for your Entertainment System and Home Theater. We won The Best Home Theater Company, The Best Electrician and The Best Outdoor Lighting in Flower Mound, TX for readers choice in 2015. Our professional technicians have the knowledge and experience to give you the best Surround Sound Home Theater viewing experience possible! We can build the entire theater or work with your designer or contractors to create a home theater that blends seamlessly with your interior decor. Whether you're planning a new Media Room or a Custom Home Theater, having trouble setting up your system, need help optimizing audio or video, or hiding wires safely, you can count on Charlie Brown Sound for professional, prompt and affordable service. Licensed Electricians -- 0% FINANCING AVAILABLE -- Free Estimates -- Contact Us today! For more information or to schedule an appointment, call your Locally Owned Flower Mound Home Theater Experts for a Free Estimate today. Our store is very convenient to Flower Mound, Highland Village, Lewisville, Denton, Keller, Southlake, Colleyville and surrounding areas. Stop in and see us! 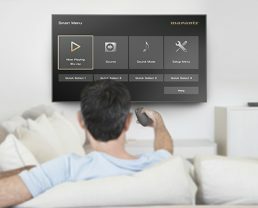 A great Home Theater is more than just good components. 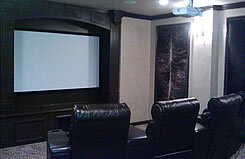 Custom Home Theater Installation ensures proper component size, placement and calibration for exceptional entertainment. Our professional technicians will maximize your sound and picture quality for the best Surround Sound Home Theater experience possible! We can install your TV anywhere and hide all cables for a flawless look. Our professional technicians will safely mount your TV to a secure bracket or platform in any setup, taking care of all wiring and cabling. Sonos Wi-Fi Home Sound System Fill your home with crisp and beautiful sound in every room. 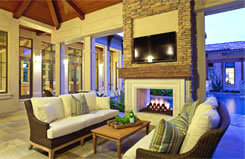 Outdoor Entertainment, Wi-Fi Music: We can install your TV on your Patio or outdoor Fireplace. We sell and install all types of outdoor speakers, even ones that look like rocks so you can have great sound all around your back yard retreat. Listen your favorite music even outside on the patio from one touch of a button. Don’t buy your audio and video products and accessories at the big box stores. 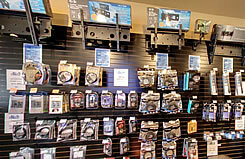 We have TV Mounts, HDMI Cables and other accessories available in our store. We purchase at a discount and pass the savings on to you, often providing a lower price for the same item. We are selling one of our Demo JVC DLA-RS500 4K e-shift projectors. Unbelievable picture, amazing colors! 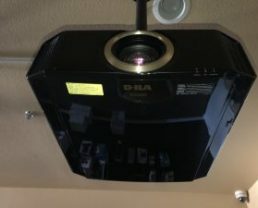 The projector has only 46 hours and retails for $6,999.99. 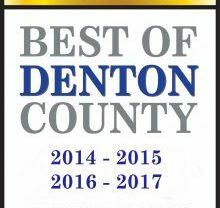 Thank you to our amazing customers for voting us The Best of Flower Mound and Denton County for four year in a row! Charlie and his crew did an AWESOME Job installing surround in our living room. Top quality equipment and professional service. Don't waste your time at Best Buy or any of the other retail stores, pay a few extra bucks and get it done right with someone who knows what they are doing. CALL CHARLIE BROWN! A few years ago Charlie Brown Sound installed a two TV's in my living room and in my bedroom. I disconnected my cable TV and they put digital antenna in my attic. This guys runed all the cables without problem, didn't put bunch of holes in the walls,all wiring was neat. They were fast too. And yesterday my old TV went out, so i called them again. Now they have a store front, so i bought the TV from them, they delivered to my house for free and installed it. They were in and out so quick. I will always use them, highly recommend this company. It's no accident that Charlie Brown Electric was named The Best Electrician and The Best Outdoor Lighting Company in Flower Mound, TX for the second year in a row!!! His work quality and ethics speak for themselves. He recently completed all the electrical work for our large outdoor patio. He helped us with ideas for lighting and provided a beautiful result for fans, lights, appliances, and TV. He completed everything in a timely manner, worked with permits, inspections, etc. Really just handled everything, and all with excellent communications so we knew the status at all times We are ready to enjoy our new backyard structure. Thank you, Charlie! If you haven't been in Charlie Brown Sound to checkout the amazing Home Theater room you need to stop by. The demo is amazing and the customer service is the best. They even have competitive prices on cables and things for people who like to do it yourself. This is a place that you can actually get solid recommendations to meet your needs, they are not a cookie cutter company that sells what's hot, they listen to what you want and make custom recommendations just for you. Charlie and his team did an awesome job installing our home theatre equipment and speakers for our living room, master bedroom and outdoor patio.